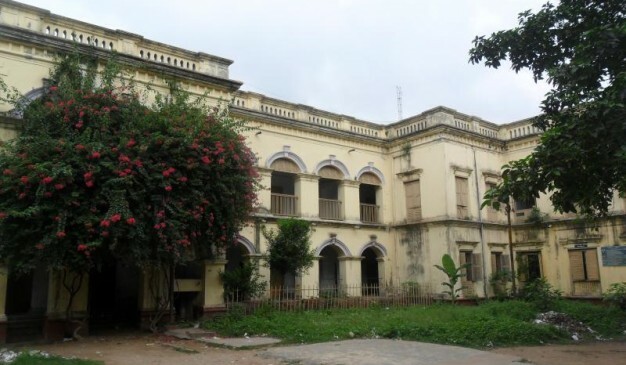 Bhawal Estate was a large zamindari estate in Bengal in modern-day Bangladesh. The area under the estate currently falls under the Gazipur District. The most famous capital of the Bhawal Estate was Choira Meah Bari, where zamindar Fazal Gazi lived. He was one of the Baro-Bhuyans (12th zamindars of Bengal). Before the Mughal conquest, Bhawal Estate belonged to Gazis of Bhawal. The first known Gazi was Fazal Gazi, who lent a cannon to Sher Shah Suri with ‘Az Fazal Gazi’ inscribed on it. The Rajas of Bhawal came from the village of Bajrayogini under Munshiganj. His family ruled Bhawal until the abolition of the zamindari system in 1951 at Choira Meah Bari, which was the capital of Bhawal. 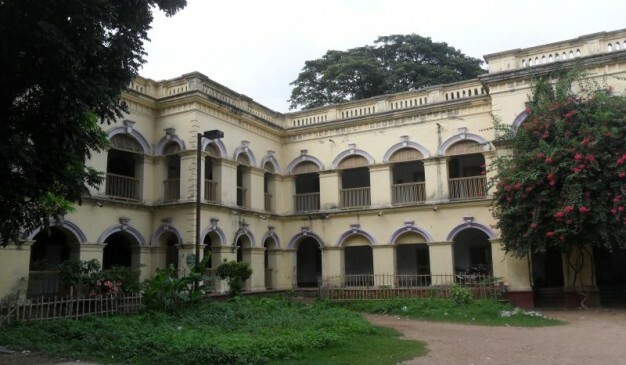 After reaching at Gazipur Sadar, take local bus to reach Joydebpur to visit this palace. Dhaka-Tongi diversion road has connected Gazipur with Dhaka , and also Tongi – Kaligonj diversion road. There are 7 railway stations in the Gazipur district. They are: Rajendrapur, Sripur, Dhirasrom, Joydevpur, Tongi, satkhamair and Pubail. Gazipur Town is connected through the City Bus. Pubail has city service Mohakhali to Narshingdi; called PPL(Pubail Paribahan Ltd.). And Dhaka to Kaligonj; this name is KTL, Adshy and other bus. There are available buses 24 hours a day. It is easy to go Gazipur from Dhaka. Train is also available from Komlapur railway station dhaka to Gazipur. Gazipur is an industrial area of Bangladesh. There are 7 railway stations in the Gazipur district. From Mohakhali any bus to go Gazipur bus stand (you can use CNG or Taxi also). There is a picnic spot located at the village near Ronojitpur (রণজিতপুর). It is based on a house named Chondro Mohol. 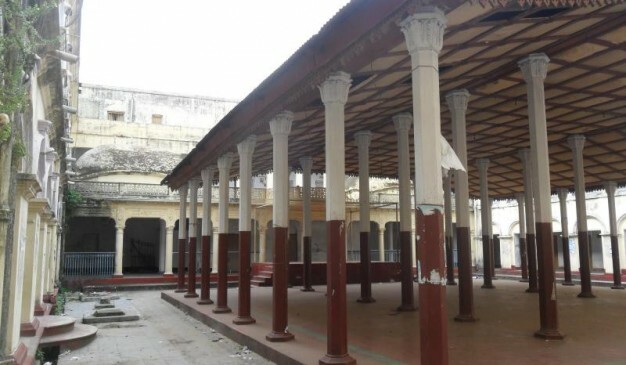 It was probably built by someone named Saiyad Amanul Huda Selim, who was a naval officer. Chondra (চন্দ্রা) is the name of his wife and the name of the house is given after her. Lot of local visitors use to come here every day. It was free once upon a time, but now a days they have put an entry fee to enter. Its 20 Taka these days. Apart from the house, the area is nicely decorated with flowers. Also it has symbolic sculptures to depict the lost culture of our Bangladesh. It has a mini zoo at one corner, and has several ponds around. The house Chondro Mohol (চন্দ্র মহল) is surrounded by water and to reach there you have to go through an underpass that goes under the water. Inside the house, they have placed few stuffs which probably are the collected things from several part of the world (as a hobby, or during their traveling). 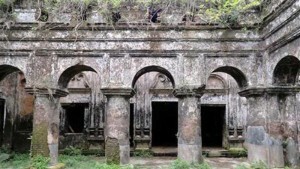 There is a significant number of old houses found in Munshiganj district. Which has enriched the historical & Cultural importance of this district among the others in Bangladesh. 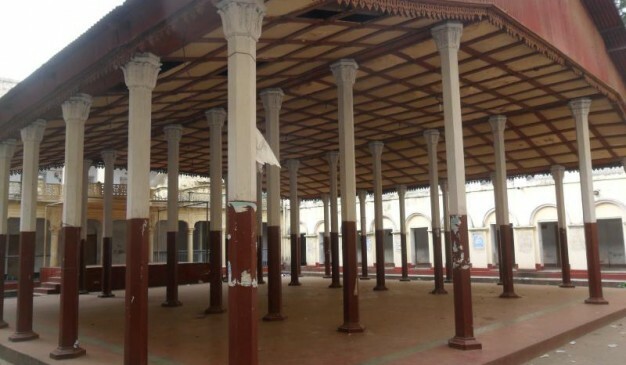 It’s assumed that in earlier phase it was a prominent center for trading all over the country as it is standing beside the mighty river Meghna. 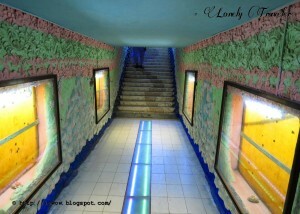 So, historically still this place contains the plenty of evidences of growing business trend at that time. 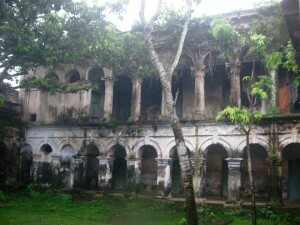 One of the most old houses built by the Merchant is Deo Bari ( দেউ বাড়ি) at Abdullahpur, Tongibari, Munshiganj. 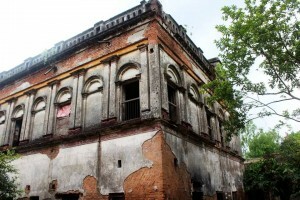 It’s about 120 Years Old Historical House (Adjacent to Pulghata Bridge). Shokti de (শাক্তি দে) and Vokto de (ভক্ত দে) built this 3 storied building. Still 45 rooms found in this derelict building. The most fascinating part of this house is its brick-work with some fabulous design & decoration. which has become exposed now that the plasters have fallen off at many places. This building is now on the way of decaying. Many parts of its has already broken because of lack in proper care and conservation. Immediate steps should be taken to preserve it from further destruction. Dharampasha Land lord’s home/Zamindar Bari is just in the bank of the Tanguar Haor. It is an ideal place to visit once someone comes to see the beauty of Tanguar hoar. It’s a very ancient home. Currently it is very decrepit & worn out. 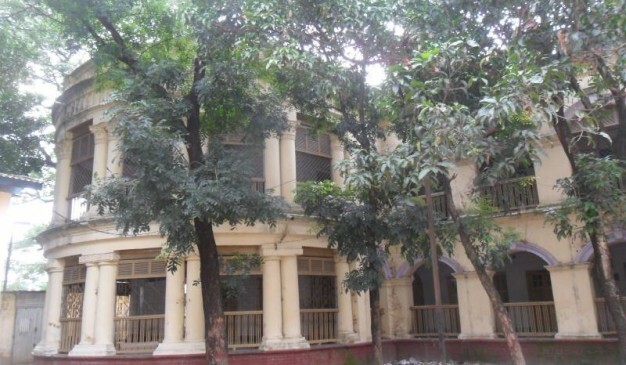 This palace is the birth place of Promila Debi (প্রমীলা দেবী), the wife of our national poet Kazi Nazrul Islam (নজরুল ইসলাম). 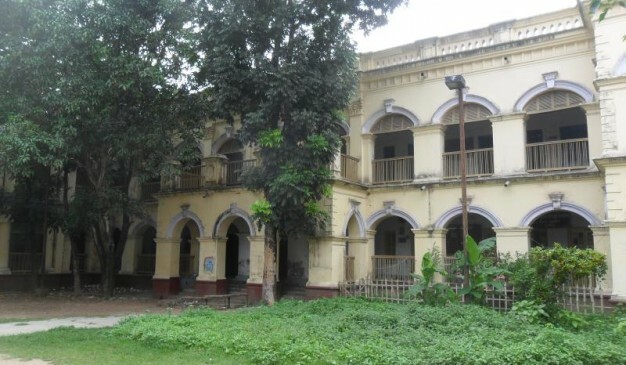 Poet first saw her in this palace when he came here to visit Promila's cousin-Dhiren Sen (ধীরেন সেন).